Below are the locations where The OpenMediX (OMX) system is being used. Hover the cursor on each state and it will display the site names and its respective disciplines. 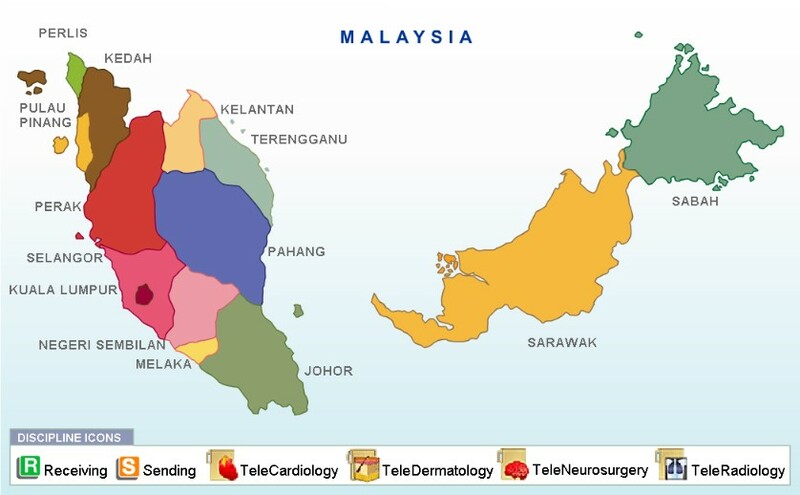 In this project for the Ministry of Health Malaysia, a customized version of the OMX Application Suite connects 43 Government hospitals and encompassing 60 sites within these hospitals enabling a nationwide Teleconsultation service for four pilot disciplines – Cardiology, Dermatology, Neurosurgery and Radiology.